The vehicle is valued at $550,000 and will be used to patrol tourist areas to “reinforce the image of luxury and prosperity” of the emirate. The Lamborghini will patrol the tourist areas of Burj Khalifa(the tallest tower in the world) and the Jumeira Beach Residence said Dubai police in a statement. The Italian designed Aventador is painted white and green but will not be used to chase run-away drivers, which are plentiful in the emirate. 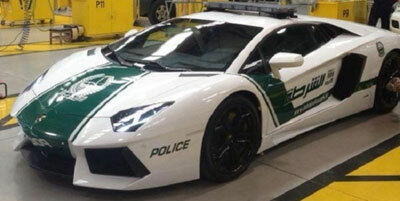 The Police consider the acquisition of the “Lambo” a sign of economic health after the crisis hit this small oil state in 2008 following the brutal fall of the property sector. 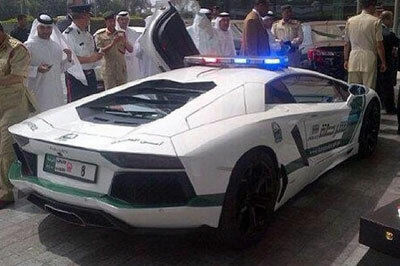 The fleet of the Dubai police consists mainly of powerful German and Japanese vehicles. Recently, the Dubai police announced the introduction of Camaro patrol vehicles, from Chevrolet, used in the major highways around the city where some rich drivers have a need for speed.